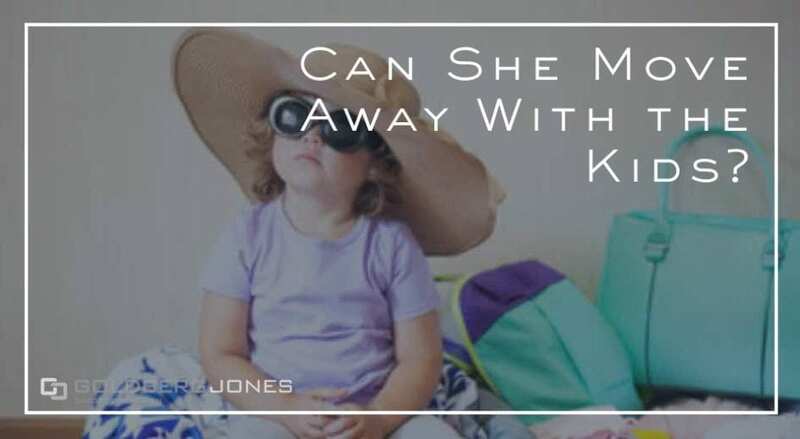 Can She Move Away With the Kids? Ahhhhh, custody issues. Could anything be more aggravating? Custody is a huge point of concern if it is a factor in your divorce and one of the components of a custody agreement is where exactly the parent with primary custody can live with the children. You are probably a bit more emotional than usual and at the very least, that can lead to important details falling through the cracks. 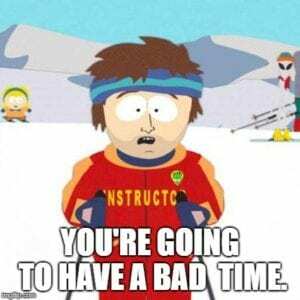 At worst, it can also include extremely irrational decisions. Studies have shown that men feel a deep sense of failure when their relationships collapse but rather than wanting to talk about it or make the best decisions, they often just do whatever they can to get through the situation as quickly as possible which often times leads to regret. It’s true that women often tend to come away from a divorce with a better settlement but that often has less to do with the court favoring the wife and more to do with the male propensity to give away the farm in their rush to escape their emotions. If you want the best result, retain an attorney who knows how to swing this in your favor and can be your voice of reason. They’ve seen it and done it all before and they know how to work with it better than an emotional first time divorcee. Let’s look at an extreme example. We know a guy (not a client) who married a native of Europe. They lived stateside for several years and began having relationship problems. When she became pregnant, she insisted upon returning to her home country to have the child. He was advised by friends that if the relationship ended, that was going to have a huge impact on his chances of getting a fair shake at custody. In the end, she had that child in her home country as well as the second who eventually arrived. By the time they had the third, she had badgered him into actually moving to Europe where he encountered employment difficulties. He eventually accepted a generous employment offer that necessitated a return to the US but she refused to return with him. He came back alone assuming that his family would eventually join him but after a few months, he found out that she was planning to file for divorce and take everything including the kids. To make a long story short, the European court determined that if he wanted to see his kids, he would have to go there and they won’t even consider compelling his former spouse to let the kids come to the US for at least a year. She got to keep everything and he has to send her thousands each month for spousal and child support. We share this story to illustrate that when emotions come into play, huge, obvious warning signs are often missed or ignored leading to extremely unfavorable outcomes. Our friend is a smart guy with advanced degrees and he works in an extremely detail oriented profession. It was a nightmare scenario and it happened to someone you wouldn’t expect it to. So what do YOU do about your situation? You’ve had enough of your soon to be ex’s nonsense and you’re plotting your escape from the gulag that your marriage has become. You rationalize that you’re both from the same area and she would have no reason to pick up and move your kids so far away that you couldn’t see them on a regular basis. Maybe you’re right but what if you’re not? What if she moves on to a relationship with a new guy who wants to live in a different state or has a job prone to relocation? What if she decides she wants a fresh start and takes a job in a different state? What if she just wants to do something spiteful? What if she wins the lottery and decides to move someplace with sun, sandy beaches and palm trees? If you don’t have this important detail included in your custody order or if you just didn’t get a custody order at all, you’re going to have a bad time. This doesn’t necessarily mean that she’ll just be able to pick up and move but you are on weak legal ground. The “Uniform Child Custody Jurisdiction and Enforcement Act”(UCCJA) is a law that applies in every state and controls which court has jurisdiction to determine custody and visitation decisions regarding your child. It states that, in most cases, if a child moves out of state, the old state will remain the child’s “home state” for six months after the move so long as one parent still resides in that state. Any court action within those first six months following relocation will probably need to take place in the old state. If you have no custody or visitation order but file a court case, your ex must return to Washington to respond. Unfortunately for you, this actually doesn’t play in your favor, either. If you do have a custody order that awards you or anyone else who resides in your state of residence any level of custody at all, it immediately becomes more difficult for your former wife to make any unilateral decisions about moving out of even your children’s school district, let alone the state. They must give notice that they intend to move at least 60 days prior to the move. Once you have received that, you have 30 days to file an objection with the court. What is the motivation or desire prompting the relocation? Are there advantages that will benefit the child and improve their life? For what reason are you opposing this move? What disadvantages will be caused by the move? Is it possible to arrange a reasonable visitation schedule that will preserve the parental relationship with the non-custodial parent? Will a move afford the child(ren) an opportunity to form a relationship and bond with extended members of their family? In Washington State, the primary burden is actually upon the non-custodial parent. If the parent with primary custody desires to remove the child from the state, it must be demonstrated that keeping the child in state is in their best interest. It can potentially be difficult to contest a request from a parent seeking to prevent the parent who has primary custody from moving your children away from you. Whether they have a new spouse from a different area, a job that necessitates a move, or need to care for sick relatives, the bottom line is that unless the non-custodial parent has a very compelling reason to prevent their former spouse from relocating, it can be very tricky to legally stop a move. So there you go. You need a lawyer to help you with all of this but this should be a great primer to help get you going in the right direction. If you don’t have a custody order or aren’t planning to get one, please realize its significance and understand that your parental rights are already in jeopardy if you don’t have primary custody and your former spouse has an even a marginally reasonable argument to move away with your kids. Make wise choices, hire a good attorney and demonstrate your value as a parent and you may have a better chance.